I actually featured this book a couple of weeks ago, when I posted the opening paragraph. I thought it was a great read for the summer, if you are looking for a “stand alone” mystery. I loved the main character, Revelation, because she was strong and brave against a dark force that has been haunting her family throughout history. The storyline is not intensely romantic, but when she reconnects with her childhood boyfriend, the chemistry is there. If the author decides to continue this story, I would love to read more about them. –Writing is a kind of magic. One person sits in a room alone and makes marks on a page that represent the images in her mind. Another person looks at those marks, weeks or months or a hundred years later, and similar images appear in that person’s mind. Magic. –I felt the weight of of every act that had brought me to that moment, balanced on the verge of something large and mysterious and frightening. I give this book 4 mysteriously magical stars, and put it on my “top shelf fantastic reads” shelf on Goodreads. Jane is resentful of Connor’s intrusion but soon realizes that her ghostly friend has secrets about his past. And now Evan’s family, still reeling from his tragic death, is in danger. Jane must face her fears and battle Evan’s human demons to free both of them. This is the first book from Angel Lawson that I have read since she started publishing her work. I have been a fan of hers for years though. I really wish I had read this book sooner. This is the first book in a series, but it doesn’t not end on a cliffhanger. 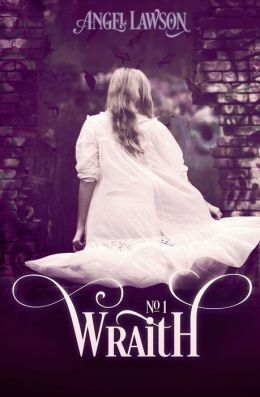 If you like Ghost Whisperer then you will enjoy this book. It is definitely Young Adult, but the chemistry between Jane and Connor feels real. What I enjoyed most about this book is Jane’s emotional growth. She is very down on herself in the beginning, without many friends to speak of. Because she has a “friend” that no one else sees, she disconnected from life. She is compelled to hide this aspect of her life from her family. Their relationship keeps her from really experiencing high school as she should. It’s not until she meets Connor that she realizes that maybe Evan needs something from her. There is an underly message in this story about the effect of abuse, whether it is mental or physical, on children and how dangerous it is to stay in an abusive relationship. The highlight for me was when Jane got a better understanding of her “gift” after spending some time with her aunt. Connor is another favorite, because despite his past, he is a positive influence on Jane. I will definitely keep reading this series. I also give this book 4 hauntingly cool stars, and put it on my “middle shelf interesting reads” shelf on Goodreads. If anyone is reading some great paranormal books out there, please share with me in the comments. I am always looking for great books to read for Halloween!! 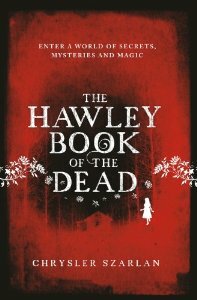 This entry was posted in Book Recommendation, paranormal, Young Adult and tagged Angel Lawson, Chrysler Szarlan, The Hawley Book of the Dead, Wraith.